The American Physical Society (APS) recently announced the recipients of their spring 2019 awards and prizes. 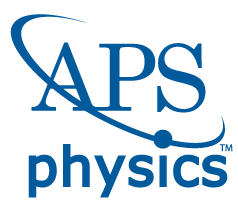 These awards are a prestigious honor given to members of the scientific community who are peer nominated and then reviewed by APS-appointed selection committees. Among the recipients are IPAM affiliates Giulia Galli and Aparna Baskaran. Galli was awarded the David Adler Lectureship Award in the Field of Materials Physics, “for the invention of methods, especially for the enhancement of ab initio molecular dynamics, to understand, predict, and engineer the electronic and structural properties of materials” (APS Website). She is the Liew Family Professor of Molecular Engineering at the University of Chicago and was an organizer and participant of IPAM’s 2013 long program, Materials for a Sustainable Energy Future. Baskaran received the Early Career Award for Soft Matter Research, “for pathbreaking advances in our understanding of the physics of soft materials out of equilibrium, especially active and granular matter” (APS Website). Baskaran is an Associate Professor of Physics at Brandeis University and was a speaker at IPAM’s 2016 winter workshop, Partial Order: Mathematics, Simulations and Applications. You can view a complete list of the spring awards here.